This trip was really one for the books, with us spotting a variety of interesting species, including 4 of our Marine Big 5. We head out to sea at around brunch time, making our way through shallow water and hugging the coast on our way to the shark cage diving vessels. Whilst cruising, we saw what looked to be a dark, black cloud on the horizon, which could only be one thing, our Cape Cormorants. We decided to go and check it out, taking in the sight of thousands of little black birds descending on the ocean. After taking in the sights, sounds and smell of Dyer Islands most abundant seabird, we made our way back towards the shark cage diving vessels. On approach, we were lucky enough to spot an Indian Ocean Humpback Dolphin making his way to the area, so we decided that we would spend some time with this endangered cetacean. Humpback Dolphins are generally quite shy, but this did not ring true for this animal, who came up to bow ride with the boat to the delight of all on board. We got some lovely close views of unknown individual before taking a stopover at Slashfin, the shark cage diving vessel of Marine Dynamics. Here, we got to see not one, but two different species of shark with our first sight being of a very active Great White Shark. 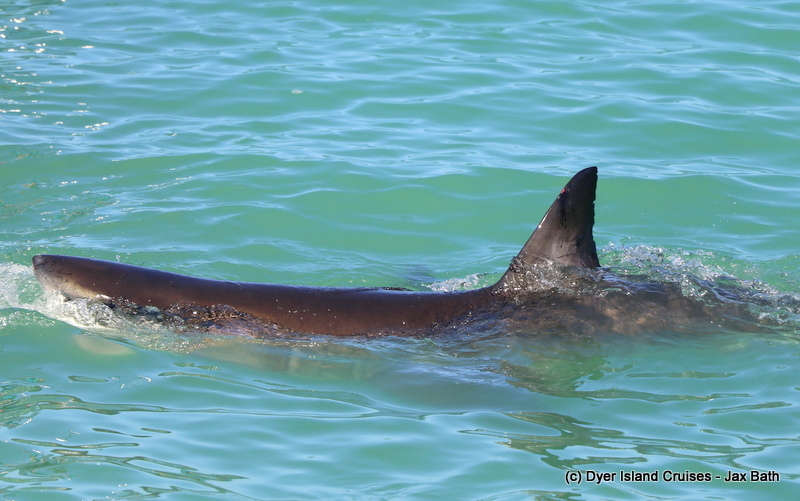 This was a juvenile animal of about 2.5m, but what she lacked in size, she made up for with charisma. We had an awesome time watching this apex predator investigate the bait line, keeping our eyes on her as she lunged towards it. We also had a Copper Shark show off her golden skin as she surfaced. Our next stop was over at Dyer Island, where we picked up some kelp and had a look out to see if we could find some African Penguins sitting on their home. Using binoculars, we were able to point them out and observe them for a bit before it was time to visit everyone’s favorite oceanic pups. 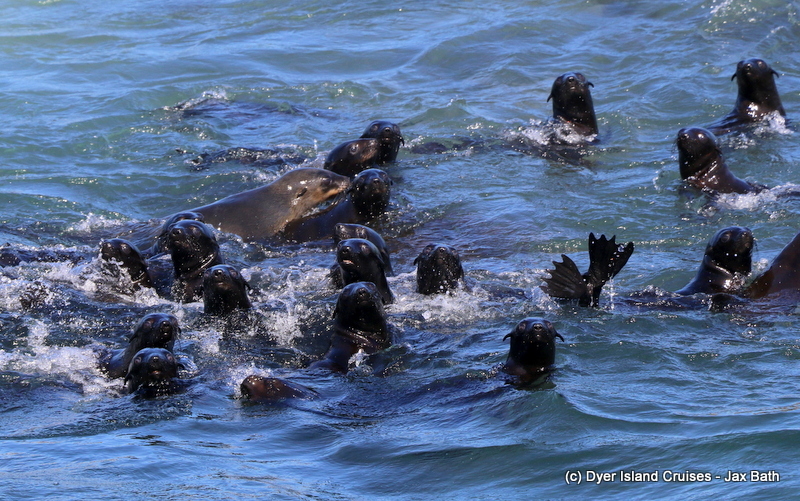 Our Cape Fur Seals were super playful, with hundreds of these pinnipeds in the water to seek some relief from the sun. 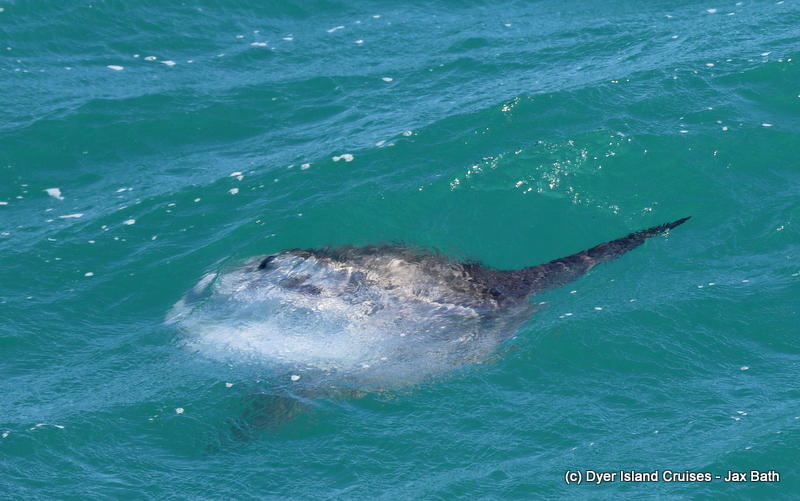 Once we’d given our seals some attention, we slowly made our way back to the habour, spotting an Ocean Sunfish along the way. These giant fish can weigh up to a ton and are always a wonderful addition to our tour. Here, we also caught sight of a raft of African Penguins before making our way back into port. Contact Dyer Island to book your trip today! 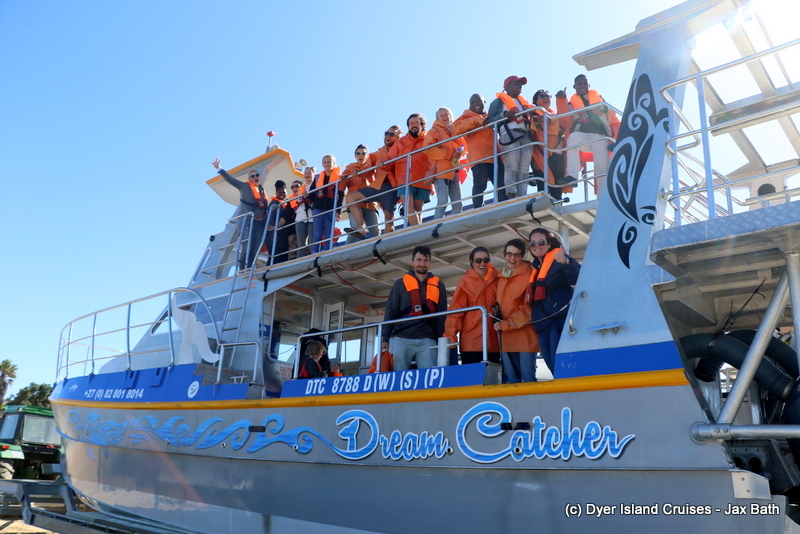 Join us for a Marine Big 5 experience. 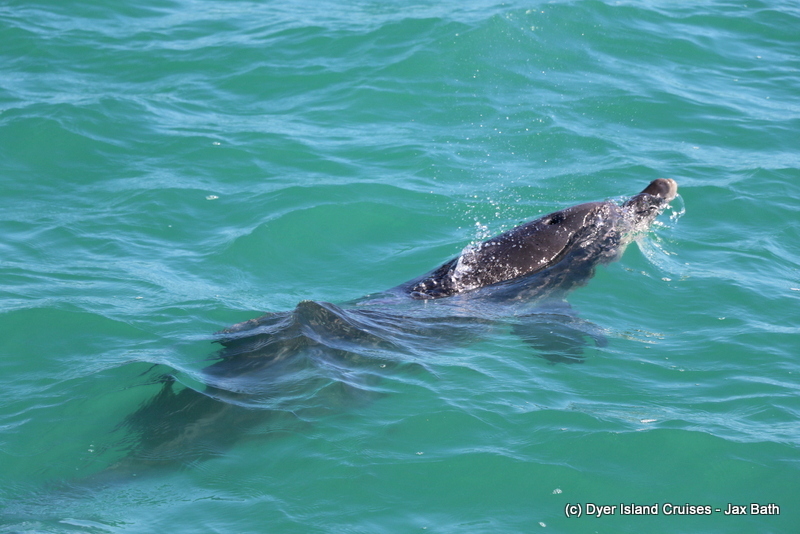 In Gansbaai, we can find whales, dolphins, seals, penguins, and great white sharks all in one trip. With over 11 years in the industry, trust our crew to make your trip educational, exceptionally fun, safe, and unforgettable.